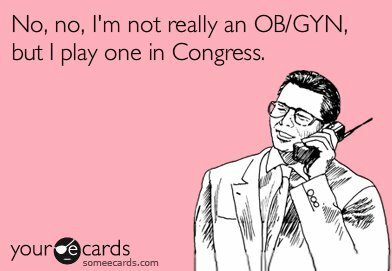 I was thinking this morning as I listened to WHYY that maybe some sort of politician group of women should be brought in for making decisions on things like reproductive rights and care. It seems strange for a majority of men to be making decisions regarding things they can never feel or experience. It would seem better for a group with female reproductive organs to make the laws regarding them. But that will likely never happen. Even still, politicians should be able to connect with the people on things that they don't share with them. They should be able to understand the needs of women even though most of them are not women. They should be able to understand the needs of the poor and working class even though they are wealthy. The ability to put themselves in someone else's shoes would make the best politicians. I like to believe (as exhibited by The Wire, Boss, Political Animals, etc) that politicians do get into politics really wanting to do good, but along the way they make concessions on some things to make other things happen and end up creating policy that doesn't help The People at all, but help the people that help them. I like to believe that politicians at least start out wanting to do good for the citizens of this country. I think that probably happens a lot. Folks get into politics, all excited about doing good and changing things for the better. Then they get soured by all the BS that comes with the job, or get corrupted by the unscrupulous politicians or just plain worn down by them. Oh, then there's all the "I don't want to do what you want because you're Republican/Democrat" bullcrap. Argh. Yes! That is another thing politicians should be able to do, look past party affiliations when making decisions. If there is a good policy on the table, it's good, even if it comes from the other side. I was just griping about this. The women's health issues specifically. You're right though, the politician should be able to understand and therefore go to bat for that person's rights whether they can readily identify with them or not. The role of a politician is to advocate for the people in need. Or that's what I think it should be. I was thinking this morning what if politicians got paid a meager wage. Make it really a job of public service, so that you had to really want to help a person if you got in the profession. I wonder if that would change things. Probably not. I always think that power has a way of corrupting because we don't know how to handle it. So even if we had those positions, I think the power that comes from sliding into the role of politician would still lead to some form of corruption and an inability to help. But I may be pessimistic saying that.